With the new iPhone 5 coming around, some may start to wonder about apps for the new device. According to recent word from the design community, though, the wondering may be a bit misplaced as redesigning the current stuff isn’t going to be too difficult a job, though there will be work involved. It would be easy to think either way on this one. 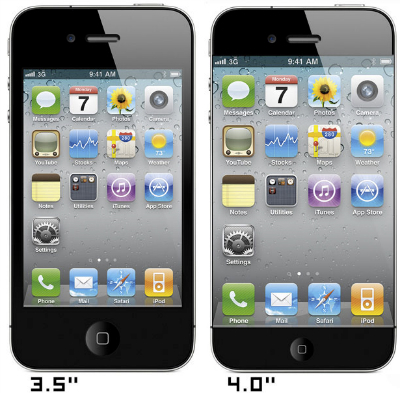 After all, the iPhone 5 has a slightly larger display than the iPhone 4S did, and since both devices were packing Retina Display systems, getting old apps to run on the new device wasn’t going to be as simple as just doubling the dimensions on all assets. Interestingly, according to some app developers, getting a new app to run on the iPhone is about as difficult as you make it. For instance, existing apps that aren’t modified will run just fine in letterbox mode, so there can be as little as no modification at all as long as no one minds having the two black bars on the side of the screen. But, not surprisingly, users are going to want apps to, right from day one, be ready to go and ready to work with that brand new bigger screen, so for many apps, modification will likely be necessary. The big question becomes, inevitably, one of whether or not the interface on the app undergoing the modification actually can be stretched in the first place. Many apps have some size constraints, and therefore use scrollviews to get the full image on the screen. Modifying these apps is comparatively simple, as reportedly, all that needs doing is to remove the assumptions in layout code about screen height. Some, however, choose to go a little farther, taking advantage of that new screen real estate to do something impressive and thus pull in more users. Others, meanwhile, find themselves with a little more work to do, and the sheer amount of things to do can be almost as varied as the total number of apps available. Clearly, however, the first point of order is to get the app updated so that it looks as much like the old app as possible. Future developments, like adding features, can come once the base is reasonably secure, and almost certainly should. Additional value put on anything, in any case, is generally an impetus for potential customers to buy. Thus, whether a small business is involved in the design of apps, or just in the use of them, getting the full value is a maxim to live by. Getting full value is exactly what users should expect from cloud-based telephony as well. The use of vital features like intelligent routing and call recording can help make the difference between a struggling business and a succeeding business, bad economy notwithstanding. 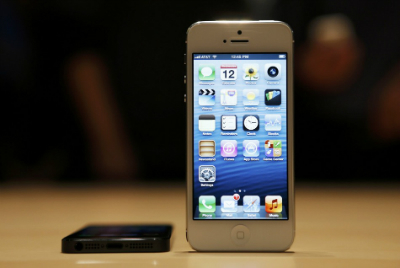 Thus, app developers all over are already working to get their newly updated versions ready for launch with the launch of the iPhone 5, and when that happens, hopefully the only difference users will notice is the most positive sort. This entry was posted in iOS Apps, Small Business, Virtual Office by Steve. Bookmark the permalink.